"WR6_gUnUj-ztiW07KQcOCnTel9A"/> Notes From Atlanta: Who Will Replace Attahiru Jega as INEC Chairman? 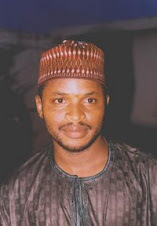 Who Will Replace Attahiru Jega as INEC Chairman? Exactly 10 days after my column, Jega was appointed chairman of the Independent National Electoral Commission (INEC). I was ecstatic. But I am certain that this was merely a coincidence, a happy coincidence. Jega’s reputation as a disciplined, principled, uncompromising, and incorruptible person had already been well-established and far-famed way before my column. I heard it on good authority that President Goodluck Jonathan chose Jega as INEC chairman because, at the time, Jonathan didn’t want to run for president. He was too intimidated by the office of the president to want to continue with it. He decided he wanted to leave a mark by appointing a universally respected figure to supervise the 2011 elections, and several people suggested Jega. But Jonathan’s associates, who had tasted the sweetness of power and hadn’t had enough of it just yet, later prevailed upon him to toss his hat in the ring. The auguries looked pretty good, they said. 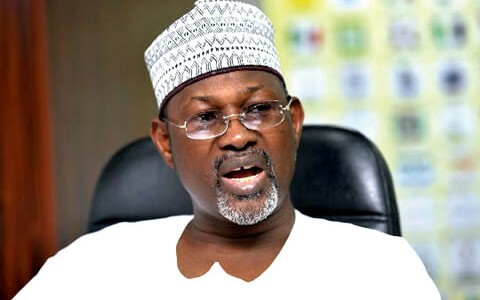 Whatever the case, few people disagree that the appointment of Jega as chairman of the Independent National Electoral Commission has been the single most significant political event in Nigeria since the restoration of constitutional rule in 1999. The appointment did more to restore confidence in the integrity of the electoral process than any event in Nigeria’s recent past. It was the first time that a person whose commitment to truth, justice, and emancipatory politics cannot be impeached even by his severest critics was appointed to superintend over the affairs of the nation’s electoral body. The appointment inspired unexampled enthusiasm and passion in the 2011 elections. Scores of hitherto apathetic people suddenly became politically active. The inchoate Nigerian social media scene that had been almost exclusively preoccupied with narcissistic babble and pointless celebrity chatter suddenly started bursting at the seams with infectious discussions about politics and elections. Facebook, Twitter, Whatsapp, BBM, etc. became the electronic agora. I had never seen such depth of immersion in politics especially among Nigeria’s youth. Of course, INEC’s performance in the 2011 elections didn’t live up to the scale of confidence people had invested in Jega, but nobody could seriously sustain the charge that he was compromised. The worst that could be said was that INEC wasn’t sufficiently prepared to confront and unravel the carefully planned, labyrinthine network of electoral fraud that Nigerian politicians had perfected over the years. But Jega had been at the helm of INEC for less than a year before the 2011 elections. It was frankly too much to expect him to radically reform an organization that he was himself studying at the time. But, even at that, the 2011 elections, gravely flawed as they were, were a reasonably fair representation of the choices of the people. As I have noted several times here and elsewhere, although the 2011 presidential election was rigged, it was impossible for General Muhammadu Buhari to have won it. The odds simply didn’t favor him. But that’s irrelevant now. While a lot of commentaries have talked about how the 2015 elections corrected several of the pitfalls of the 2011 elections, making them the fairest and most transparent elections Nigeria has ever had, not much has been said about how Jega’s famous intolerance for corruption ensured that no political party even had the nerve to approach him, much less negotiate with him, to “cut deals.” If somebody other than Jega had been the INEC chairman, and it became apparent that PDP was in danger of losing the election, it’s as certain as tomorrow’s date that there would have been “orders from above” to stop the counting and for results other than the real results to be announced. And the orders would have been obeyed—as they used to be. Of course, there would have been carnage, bloodshed, and uncontrollable communal convulsions throughout the nation. So it isn’t former President Goodluck Jonathan’s concession, which he was, at any rate, railroaded into making by Western powers, that saved the nation; it was Jega’s single-minded incorruptibility. It was also his legendary, almost superhuman, mild-mannered and even-temper disposition in the face of extreme provocation by the reactionary high-ranking thug called Orubebe. If Jega hadn’t managed the election and its immediate aftermath as adroitly as he did, Jonathan wouldn’t have even had a chance to concede defeat. Not surprisingly, Jega has said he wouldn’t seek or accept a renewal of his tenure. He said after June he would go back to Bayero University, Kano, to continue what he has loved doing since 1979: teach and research. I can’t express how proud I am by Jega’s epochal achievements as INEC chairman, but I have anxieties about who will succeed him. It would be tragic if President Buhari appoints a successor to Jega that is unprincipled, malleable, and susceptible to manipulation by politicians. But I take comfort in the knowledge that Buhari understands the importance of having a truly independent-minded and fearless person as chairman of INEC since he is a beneficiary of an election that was midwifed by someone with those attributes. There are scores of people like Jega in Nigeria that are little-known because they have no media exposure. As the English say, there is as good fish in the sea as ever came out of it. Who do you think should succeed Jega? I’d love to read your thoughts and suggestions.